Replacing tires isn’t a big deal if you’ve got the money, but if you don’t it’s a heavy hit to the wallet. At the very cheapest, one new tire costs $70. Mounting and balancing tires is usually about $20 per tire. While not all purchasers buy four tires at a time, it’s wise to match your vehicle’s tire tread, size and pressure in order to avoid potential problems with shaking, blowouts and shifts in alignment. Most assume that buying new tires at their local garage is the only option and the cost of buying new tires is unavoidable. This is simply untrue. 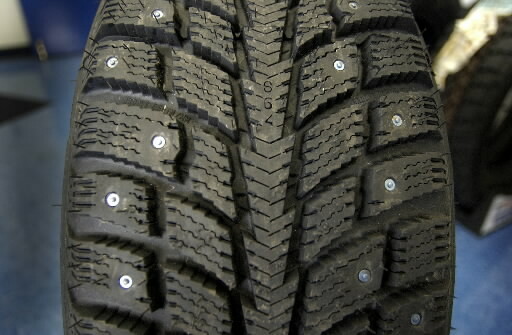 Saving money on tires is very doable at NYC Auto Salvage and Glass. We take tires off salvaged vehicles and inspect them for any leaks, rim problems and tread depth. After passing inspection, tires are stored in an organize warehouse and entered into the system so that finding the right set for your car is quick and easy. Mounting and balancing of your tires should be done by a professional. Schedule an appointment or drop by our shop for a quick and professional tire replacement and balancing with our high-quality used tires. You can also purchase tires and take them to the tire shop of your choice for installation. By calling one of our customer service representatives, we can find the perfect tires for your car. When calling, please look at your current tires and make a note of the brand, number of lug nuts and size. Size and brand name should be easily visible when looking at the outside wall of the tire. Call NYC Auto Salvage and Glass at 718-297-9797 to find the right set of tires for your car or to schedule mounting and balancing. Don’t forget to like us on Facebook and follow us on Twitter for news or specials. Saving money wherever you can is the only way to free up money in tight budgets. To save money on car repairs, try doing the work yourself. There are many quick, cheap and easy repairs you can do yourself with very few tools and a basic set of instructions. One of these quick fixes is replacing your own turning signal or headlight bulbs. Most cars have three bulbs per corner: one is the headlight and the other two are front and side turning signal lamps. Dealers, the priciest resource for making simple repairs, charges about $12 per bulb. Not only is there a huge markup on bulbs, they charge about $25 per corner. You can purchase your own bulbs at an auto parts store for about $9 each, but even at this price it’s still ridiculously high. NYC Auto Salvage and Glass is New York’s premier provider of cheap used auto parts, including headlight and turning signal bulbs that are much cheaper than buying new. Bulbs are used but in great condition and work just as well as new bulbs. To learn about replacing bulbs, do a quick YouTube search for your vehicle’s make along with “changing headlight bulbs”. To find the perfect replacements auto parts and bulbs, call NYC Auto Salvage and Glass at 718-297-9797 today. Don’t forget to like us on Facebook and follow us on Twitter. Owning a car is expensive. Car payments, gas, insurance and parking add up. Compound those costs with the price of making repairs and regular maintenance appointments and you have the perfect recipe for a stress headache. Logic tells us that mechanic shops make money or they wouldn’t be in business. By charging high rates for labor and materials, shop owners line their wallets. Cutting corners where it’s reasonable is the best way to save money, and making DIY repairs using cheap used auto parts is a huge relief for those on a tight budget. A single wiper blade costs about $25 from a dealer or mechanic to replace. If you buy new wiper blades from a parts store you can find them for about $7. Why pay so much for a thin strip of rubber? That’s ridiculous! NYC Auto Salvage and Glass has a variety of wiper blade types that are just as good as new or lightly used for just cents on the dollar, and we’ll even tell you how to install them yourself. Before replacing the wiper blades, be sure they aren’t failing to perform due to being dirty. A kitchen scratch pad and a little elbow grease is all you need to clean them up. If that doesn’t work, then you probably do need to replace them. To remove, just pinch the rubber on the end of the wiper and slide it off. If it’s resistant, use a flat head screw driver to help pry it off. Toss it in the garbage and slide the new rubber blades back on the wiper blade brackets. It only takes a couple minutes and is so easy it’ll blow your mind. NYC Auto Salvage and Glass is New York’s premier provider of cheap used auto parts. Call us at 718-297-9797 today to find the perfect wiper blades for your car. Don’t forget to like us on Facebook and follow us on Twitter. Everyone who owns a car must eventually face the reality of making repairs. The cost of repairs depends upon the purchase price of parts and the cost of labor. Money doesn’t grow on trees, and repairs add up fast. One of the best ways to save money on repairs is to do them yourself. A quick YouTube tutorial, a little time and effort and a few cheap used auto parts is all you need to make the repairs yourself and reduce your overall costs. A used battery costs so much less than the $70-$100 that dealers and parts stores charge for new batteries. At NYC Auto Salvage and Glass we carry a wide selection of batteries and can certainly help you find what you need at deep discounts. Parts are high quality and in working order so you know your used battery will hold a charge and keep your car operable. To replace your car battery, disconnect the negative cable from the negative battery post first. This post will be marked with a “-“ sign. Next, disconnect the positive cable marked with a “+” sign. If your battery has a security bracket holding it in place, disconnect it. Lift the battery off of the plate and set it aside. Using an old, stiff bristled tooth brush scrub the connectors on the ends of the cables clean with a solution of baking soda and water. Baking soda is a base substance while battery contents are acidic. The chemical reaction will clean any corrosion from the connectors and keep the electrical current flowing without interruption. Don’t forget to rinse. Place the new used battery on the support plate and reconnect the support bracket, if you have one. Connect the positive cable first, repeated by the negative cable. Make sure the cables do not slide from side to side and are securely in place. Start your car. Voila!